Secure messaging is a hot topic with many health care providers. The term secure text messaging implies person-to-person messaging, and there is a real need for this as witnessed by the early adoption of these systems. But there are many more messaging use cases beyond simple secure texting that offer as much or more value to providers. I’ve divided up the almost 200 messaging vendors that I track by the major claims they make for their products. (You can get a list of these vendors below.) These claims were then organized into broad use cases. This appears to be the first holistic view of the health care messaging market from the perspective of use cases, showing the predominate use cases and the companies that claim to support them. Note that many vendors make claims for multiple use cases, a few make claims for several use cases. For the most part, messaging vendors share a similar product architecture that enables them to configure their product to do most any kind of messaging use case. Use cases that they productize and market are based on where they perceive the most market opportunity, i.e., product-market fit. Most of these platforms are designed to make extending into other use cases relatively easy (additional system scripting and configuration rather than developing a new product from scratch). One of the biggest challenges reported by provider organizations purchasing health care messaging solutions is determining which solutions best meet their needs. Rather than focusing on detailed messaging features, buyers are best served by focusing on documenting their specific workflows to be supported by a messaging solution. Vendor selection then becomes a case of evaluating how well prospective suppliers support the buyer's documented workflows. Some use cases are narrow and specific, while others are broad. Three of the broadest are Care Management, Medication Management and Patient Engagement. A review of solutions under these three use case categories, offer a wide range of capabilities and automation. The conclusion here is that to select a solution that best fits your unique requirements, one must assess individual product offerings and match them to your use case workflows. Alarm notification This use case entails taking alarm notifications from medical devices or gateways and delivering them to the appropriate caregiver in a timely and reliable fashion. As noted, this use case is FDA regulated which imposes some structure on the product claims made by manufacturers. Relatively few companies offer alarm notification solutions. Manufacturers regulated by the FDA must implement a quality system similar to ISO 9001 and submit a collection of documents created by following that quality system to the FDA for review and clearance prior to selling the product. Care management This includes vendors who make similar claims such as care coordination, care plan management, care transitions, chronic care management and patient care management. These are variations of a basic set of use cases supporting care delivery: diagnosis, the cycle of therapy delivery, nursing vigilance, clinical interventions, etc. There is considerable feature overlap between many of the current alarm notification solutions and care management solutions. Clinical decision support (CDS) This is workflow automation extended beyond messaging features and into clinical capabilities. Common applications include early warning systems to identify patient clinical deterioration, the early detection of sepsis and other conclusions or recommendations on data passing through the system, mostly of a diagnostic nature. 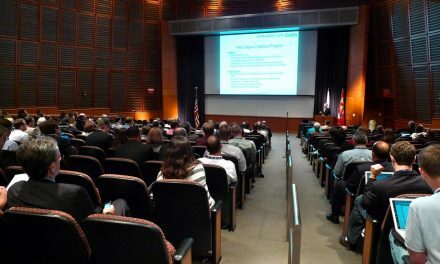 Some of these solutions are FDA regulated, and the FDA’s approach to CDS is likely to change with the promised publication of an FDA guidance document. Clinical surveillance This application displays near-realtime medical device data to remote users. Most commonly connected medical devices are patient monitors, but this can also include any other type of device found at the point of care. These solutions are FDA regulated. Alarm notification solutions can include remote surveillance as a feature. 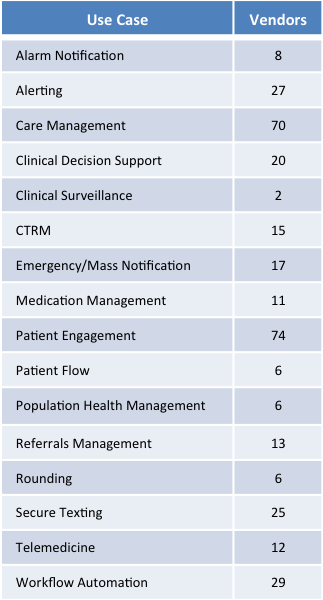 Some are standalone surveillance solutions that may be integrated with other care management messaging solutions or used to implement remote ICUs or other use cases. Critical test results management (CTRM) Diagnostic tests with abnormal results require timely notification and response by responsible clinicians. The CTRM use case first arose as add-ons to diagnostic imaging applications and then expanded to diagnostic modalities beyond imaging. A messaging solution can provide CTRM support tailored to any diagnostic modality. Emergency/mass notification In certain emergency situations, it becomes necessary to notify a large number of individuals on a wide variety of devices (both personal or corporate owned). Typical use cases include major IT system outages, natural or man made disasters, or any other event where a hospital might want to call in a large portion of their work force. Most of the vendors in this group target horizontal markets of which health care is just a portion. Medication management This includes claims for ePrescribing, medication adherence, meds administration and broader medication management. This set of use cases requires special integrations with internal pharmacy information systems, pharmacy benefits managers, retail pharmacies, etc. Patient engagement Any use case that includes messaging with patients can be termed “patient engagement.” This category ranges from texting appointment reminders to patients to AI based coaching of patients to improve chronic disease management and reduce readmissions. Patient flow Much of bed management and room turn over workflow is straightforward. 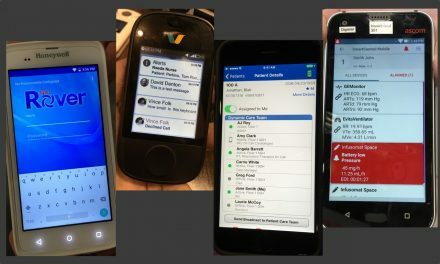 Consequently a few messaging vendors have configured their systems to support these basic workflows, and/or complement more sophisticated standalone patient flow applications. Population health management In this latest generation of utilization review, population health management is the aggregation of patient data across multiple HIT systems (inter or intra enterprise), the analysis of that data into a single, actionable patient record, and the actions through which care providers can improve outcomes. This widely accepted definition is a perfect fit for messaging middleware, and a number of vendors agree as shown by their product offerings. Referrals management Is the process of getting patients referred to an appropriate (and in-network) provider in such a way that the patient receives timely and proper services, and the referring physician gets appropriate data back to document the care delivery process and outcomes. As these transactions occur between trading partners (see this post) where the typical technology is a telephone and fax machine, a messaging solution offers many benefits. Rounding Is a daily process where a patient’s diagnosis, treatment and condition are reviewed within the context of care delivery. The output of rounding are messages to other members of that patient's care team regarding action items and changes to the patients care plan. Secure text messaging Every messaging solution targeting health care provides secure text messaging as a basic (and required) feature. Rather than list every messaging vendor I'm tracking, I have listed only those that limit their claims to secure text messaging. I suspect that the market is starting to outgrow solutions that are limited to this first and most basic messaging capability alone. 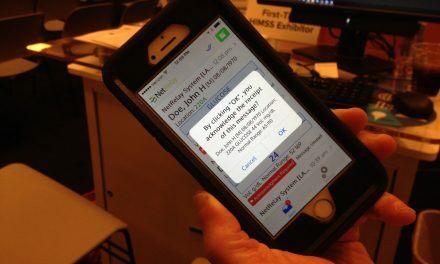 Like emergency/mass notification, secure texting includes a number of horizontal market vendors targeting health care. Telemedicine Provides virtual office visits via the patient’s smartphone, tablet or PC. 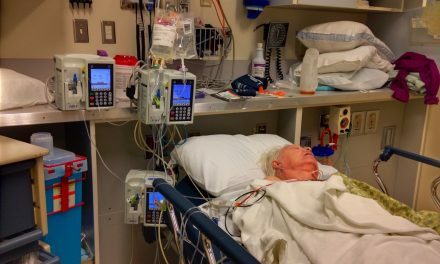 Remote patient encounters of this type are typically limited by the absence of any medical devices to quantify the patient’s condition. Yet there are many primary care encounter scenarios that would benefit from this type of visit. Workflow automation Like secure text messaging, this is more a feature than a use case. Workflow automation is accomplished by processing data from user and system message streams through a rules engine, machine learning or artificial intelligence software. Workflow automation is an essential capability for messaging systems, enabling things like message routing, the inclusion of contextual data with certain messages, sophisticated alarm and alert notification and much more. Few vendors use such a mundane term as “workflow automation” to describe their solution, however, some do make claims about more generalized or configurable ability to automate customer’s workflows. This contrasts with a larger number of vendors who use workflow automation to enhance overall messaging functionality and/or to automate specific use cases like those listed above. The list of vendors organized by use cases was assembled on an Excel spreadsheet. Download the spreadsheet here. Due to the anticipated changes and potential suggestions and feedback received regarding the list, future changes are expected. It is not clear at this time what the best way to document and communicate those changes will be. As revisions or new lists are compiled, those who download this current list will be notified. The data set used for the use case analysis includes 178 companies that use a conversational user interface and target health care. The 15 use cases were distilled from a list of 53 different marketing claims made by the vendors. 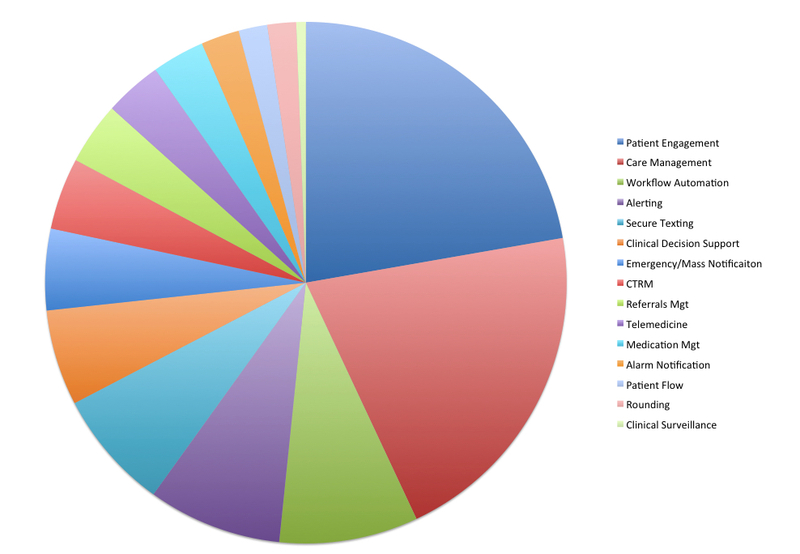 The pie chart below shows that just over half the vendors in the messaging market are targeting 3 use cases: patient engagement, care management and workflow automation. Use cases are ranked by the number of vendors supporting that use case. 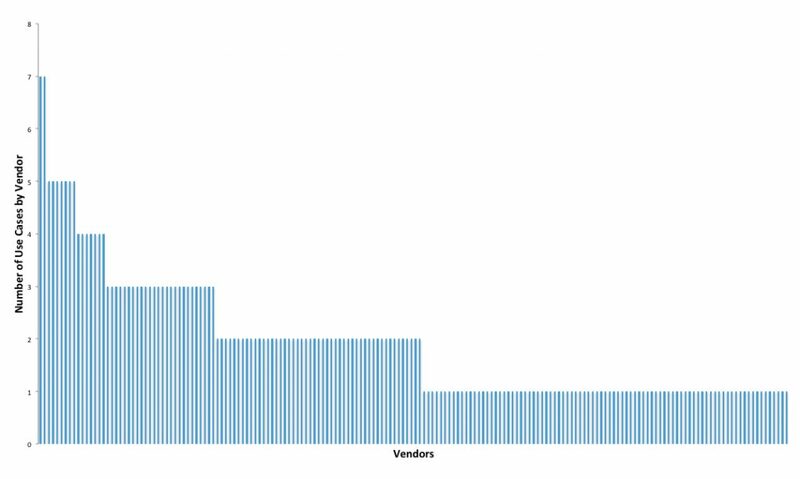 In the chart below, the horizontal axis shows a bar for every vendor in the data set while the vertical bar shows the number of use cases. Just more than half of the vendors offer more than one use case, and most of the vendors offer just 2 or 3 use cases. At the other extreme, 2 vendors, Uniphy and Vocera offer 7 use cases each. Another 7 vendors offer 5 use cases, and another 7 offer 4 use cases. 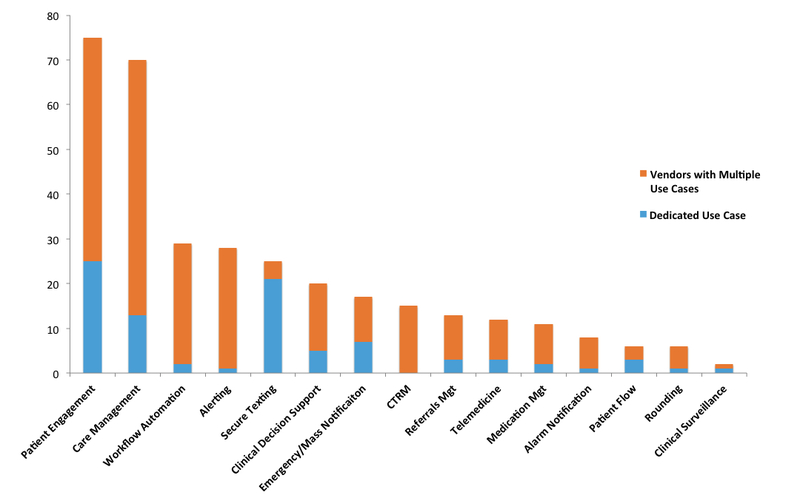 The number of use cases claimed by vendors is clearly shown across individual companies. The final chart shows the number of vendors in each vertical market divided between the number of vendors who offer that use case alone and those vendors who offer the named use case along with additional use cases. The vendors supporting most use cases offer solutions to more than one use case. The final item is a dynamic relationship map that shows each use case (the blue circles) connected to the vendors who offer that use case (gray circles). Here you can discern which use cases have the most or least number of vendors, and more. It is interesting to note that the relationship map clearly shows which use cases include vendors dedicated to that one use case and which use cases show higher percentages of vendors supporting multiple use cases. More poking around will show "use case affinity" where vendors who offer multiple use cases are clustered to show which use cases are offered together with other use cases. 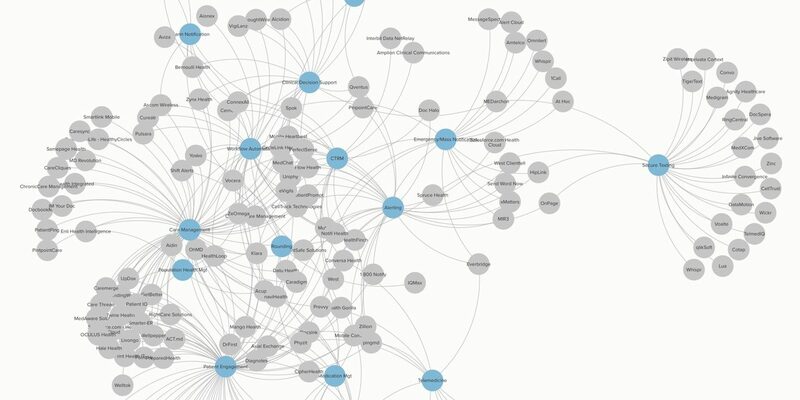 Like any relationship map application, this one (by Kumu.io) has a bit of a learning curve. Be sure to click the plus sign in the upper right corner to zoom into the map. You can also drag the map around your screen (with a click and drag) to see more of the map. Resting your cursor on a circle displays the connections to that circle and causes unconnected circles to fade away. This is a dynamic market with new messaging solutions entering the market with some frequency. Similarly, startups that did not achieve market traction, run out of capital and fall by the wayside. Many successful vendors become acquisition targets and are acquired. Vendors claiming to support specific use cases will change with some frequency. Consequently, the list of vendors for this analysis will change as well. Over time, the list of messaging use cases will expand (for example, patient transportation and observation patient management are two obvious use cases that messaging solutions could address). Whether a use case is supported by a solution is not a binary yes-or-no question. Take telemedicine as an example. The most basic kind of telemedicine can be achieved with a simple video chat capability. But to fully automate data-rich telemedicine encounters, the visit needs to be scheduled, include remote monitoring to acquire physiological data, and the encounter needs to be documented, coded and billed. Finally, complementary use cases can include any follow up that may be needed: subsequent appointments made, patient instructions, ePrescriptions generated and more. A messaging telemedicine use case could be limited to just video chatting, or include any number of the additional workflow steps described above. The qualitative difference in supporting a use case across different solutions is critical. Website descriptions and demos of use cases will always look impressive, but it is only through a detailed comparison with your own institution's workflow that the solution that is the best fit can be discovered. Suggestions for additional or different use cases are most welcome. Of most interest are those use cases providers are willing to invest money to automation, or use cases that vendors think sufficiently important to actively promote on their web site. Feedback on changes in the vendor landscape are also welcome. Tim, what was the software you used for the linkages? Chris, the software is The Brain, a great mind mapping tool. It’s like pivot tables on steroids for ideas rather than numbers. When Chris’ left his question about the software “used for the linkages” the blog post feature image was from TheBrain. I have since replaced that feature image with a network diagram made with Kumu.com, which seems better suited for interaction on a web site. Let me know what you think of the diagram.